In the newest cottage section of The Ramble Biltmore Forest, a gated community on pristine property that was formerly part of the Biltmore Estate, this homesite is conveniently located at the southernmost portion - making it a short walk to Biltmore Park whether to shop, grab a bite, or catch a movie. 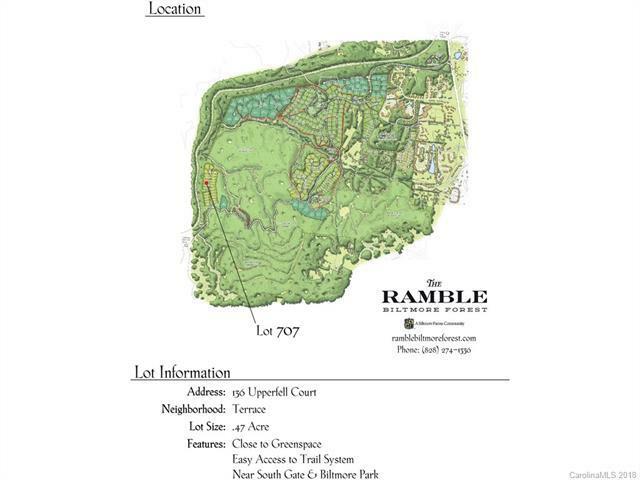 The Ramble offers homesites in a community that focuses on high levels of architectural detail to those who appreciate not only fine homes, but a lovely home setting in a natural wooded environment. Community amenities include miles of hiking trails, parks, Living Well Center complete with outdoor heated saline swimming pool, tennis, bocci and pickleball courts, fitness center, and more. 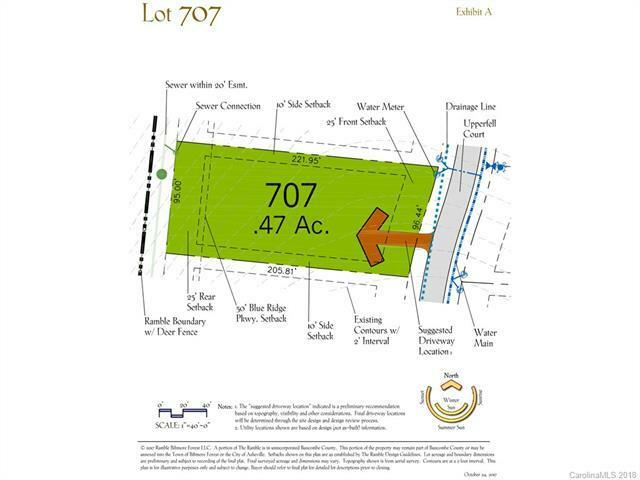 Additional homesites are available. Taxes TBD. Offered by Beverly-Hanks, Ramble. Copyright 2019 Carolina Multiple Listing Services. All rights reserved.